Picking at scabs, sores and itchy patches on the skin can feel good at the time, and that may be one reason why it easily turns into a habit. The trouble is, damaging the skin like this on a regular basis isn't a good thing, but once it becomes habitual it can seem impossible to stop. Even when you try very hard. The Stop Skin Picking Hypnosis Script from The Script Collection was created to offer an effective way for people to break out of this compulsive behavior and restore their skin to health. The pretalk describes some of the common manifestations of skin picking and the problems it can cause. Because it is largely an unconscious behavior, hypnosis is a particularly effective tool for 'updating' the unconscious template that sustains it and transforming it into a much healthier pattern. A carefully crafted 'wave-form' induction leads the client into a deeply relaxed, inwardly focused and receptive state that merges seamlessly with a powerful metaphorical 'transliteration' of the problem issue into completely new terms. This opens up the way to deep unconscious transformation, bypassing any resistance that might be offered to direct approaches. From the new 'standpoint' the structural underpinnings of the old unwanted behavior are gradually removed and a new set of appropriate healthy responses are instituted. Hypnotic rehearsal allows the client to quickly begin to feel very familiar and at home with how to live like this, so that they find it completely normal no longer even noteworthy to do so. For extra protection, the conflicting parts are fully reconciled in a new alliance. This script will ensure that the new patterns become ever more deeply integrated. Add the Stop Skin Picking Hypnosis Script to your script library today! Stop Skin Picking is also available as an MP3 download. 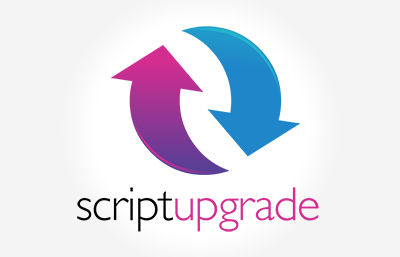 Skin Picking Script has been purchased by 416 customers.